When people first think about solar energy they automatically think that it is much better in sunny locations like Arizona or Nevada and is useless in places which are usually much cloudier, like some of the North Eastern states or Washington. To be sure, the amount of sunshine is a factor in any potential solar energy installation, but it’s not the only one. There are many economic factors that make solar energy an attractive proposition or not, depending exactly on the variables involved. The main economic factors are the local state or federal subsidies and the price that you normally pay for electricity from your utility. Federal subsidies come in the form of tax credits for solar installations and do not vary anywhere in the country. State or city subsidies may also be in the form of tax credits, but there are also rebates and the utility you are hooked up to may or may not be forced to take into account any surplus power that you generate yourself and supply to the grid. One economic factor that is often neglected is the rising cost of electricity generated by non solar means and the average cost per unit of this electricity. This affects the amount of savings that can be made by using solar generated electricity rather than continuing to use grid supplied electricity. When all the economic factors are taken into consideration, some interesting facts are revealed. For instance, one of the cloudiest and coldest states – New York – is actually a better place to install a home based solar energy system than many sunnier locations. This is mainly because of more generous credits given by state and city governments in what has become a much more forward thinking, in solar terms, than many other states. Also, normal electricity is more expensive in New York than states like Louisiana or Texas, for instance. The best states or places to install solar can be measured most easily by calculating the time it takes to make a solar installation pay for itself. This can be as low as 5 years in some states and much longer – 10 to 15 years in others. Solar panels tend to have a rated 25 year life expectancy, although in fact this is hard to measure because many of the most modern panels have not yet reached the point that they are not generating enough power, so it is hard to say how long they are going o last. If we take the 25year period as average, because this is the normal warranty period, then a 5 year pay-back period will mean that there are 20 more years in which the solar home is going to make a profit. It is economics like this which helps to explain the explosion in home solar energy installations over the last decade – a phenomenon which shows no sign of decelerating. Now for some more specific detail about some of those factors, economic and non economic that can determine how profitable your solar installation will turn out to be. The average yearly sunshine figures will certainly affect how much power that can be generated by an average solar installation of say 5 kW. States like California, Nevada, Arizona, New Mexico, Utah and Colorado all win hands down in the sunshine stakes although the potential advantage that some of these states seem to have is offset by state attitudes towards renewables in general and solar energy in particular which are less than progressive. It’s not just having a home in a sunny state or part of a state that matters, but having a roof that faces towards the sun and is not obscured by shading. A south facing roof is better than a north facing roof and being able to trim your own shade creators like trees is better than having shade caused by nearby buildings which you can’t do anything about. Most solar installations are retro fitted onto existing homes and obviously factors such as those described above will help to determine who is better off in a community because of the exact orientation of the building. Newly built homes that are built with the intention of installing solar energy can be designed to maximise the orientation of the panels to the south. It is federal government policy to support renewable energy as part of a response to concerns about climate change and the effect of burning fossil fuels for industrial, commercial and residential consumption. The federal government provides a 30% rebate on all new solar installations but this is not a hand-out as such. It is available through federal tax credits. That means that if you purchase a solar installation for $12,000, you should be able to claim 30%, i.e. $3,600 off your annual tax bill, assuming you have one. That brings the effective cost of the installation down to $8,400. These vary considerably from one state to another and the situation is a volatile one as the state government in power at the time may or may not be inclined to support solar energy in the state. In some, but not all states, state sales tax is waived on new solar panel purchases. 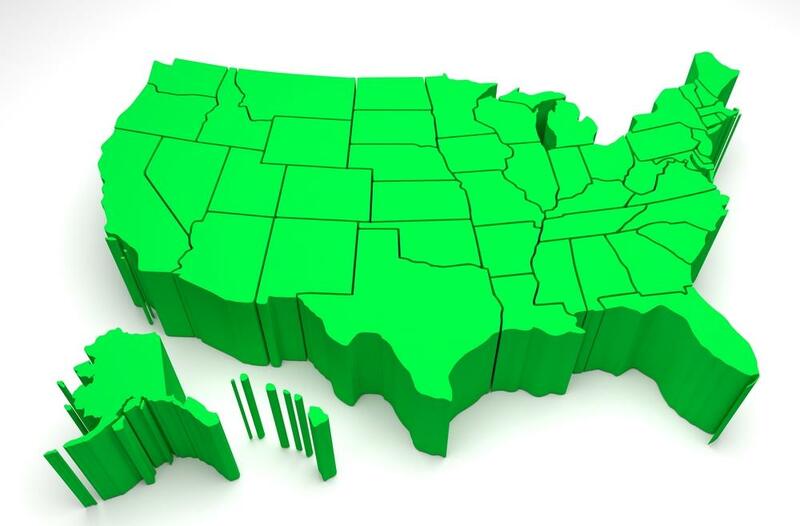 In some, but not all states, the state may provide a tax credit similar to the federal one, so if you pay state taxes, you can claim the credit when you pay your taxes. It’s hard to be specific about these credits because of the variation across the country. Progressive (in solar terms) states are those that impose compulsory conditions on their utility companies. This is known as the renewable portfolio standard (RPS). It is a measure of how much renewable power utilities in that state must generate by a certain date. Oregon, for instance has a RPS of 25% by 2025. California’s is higher, while that of Texas is much lower. Utilities will pay homeowners a rebate to help achieve their RPS requirements. This rebate can be quite substantial and is obviously going to be higher in states with a high RPS. The rebate is a cut in the cost of the purchase locally and can be of the order of several thousand dollars. States vary in the cost of power and the differences can be considerable. California, for instance and New York are substantially more expensive than Louisiana or Arkansas. This makes installing solar power in the first two states especially attractive because as soon as you are generating your own electricity, the savings will be higher and this will influence how long it takes to recoup the cost of your installation. The other factor is the annual increase in utility costs per unit. The cost of electricity from non solar sources is not going to remain the same or decrease. It always goes up. The cost of solar electricity by contrast is always the same: it’s basically free! That means that the longer your installation provides clean, free energy for you, the greater the annual savings you will make. Finally, one has to remember that installing solar power is not just about economics. It’s also a matter of helping to make life on this shrinking planet a little more sustainable and reducing the pollution caused by burning fossil fuels.